Dubai: A Dubai-based receptionist, who has become an international super model at 54, is encouraging people to grey with grace. 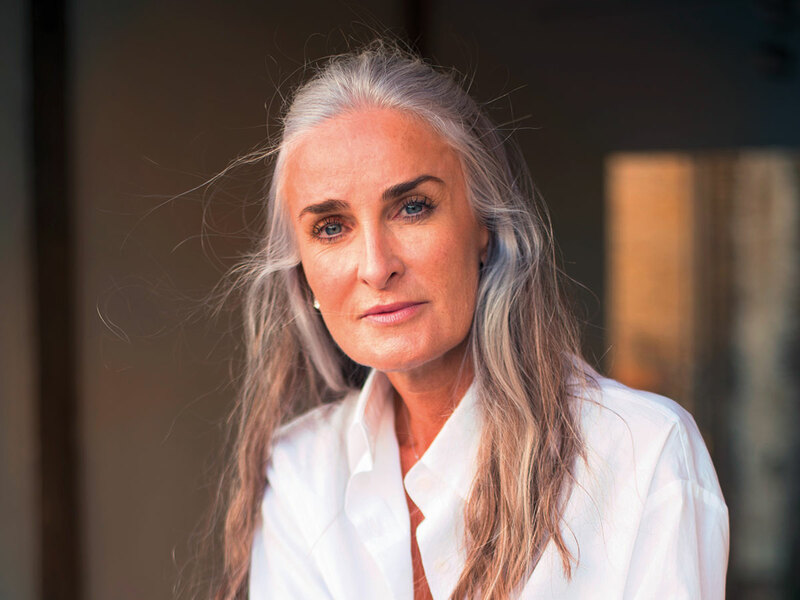 The grey-haired Briton Caroline Labouchere, who is a highly sought after model in London, New York and the UAE, has specially launched a social media initiative (Caroline is Grey on Facebook and Empowered by Grey on Instagram) to spread her message. “I am proud to wear a crown of silver. Like a queen,” she said. For too long, we do what we are conditioned to do. But there comes a time when we can take the good bits of our past and add the good bits of the present to create a person of our choice. There has been no looking back since. Caroline’s career with modelling began when she received a casting call for a top water brand in London. A greying brunette who had been dyeing her hair blonde for 13 years, her assignment now demanded that she go white. The new look was so well received that it left Caroline wondering why she had not left her hair to naturally grey. “My mother, now 75, started going grey in her 20s and she never used colour. She looked incredibly glamorous. Like her, I have an under-active Thyroid and am Caucasian, so I too started greying early — in my 30s. So I was never afraid of greying and the casting now only cemented an idea that I had long been debating in my mind,” said Caroline, whose next shoots were for a top magazine in New York and a clothing brand in Dubai.